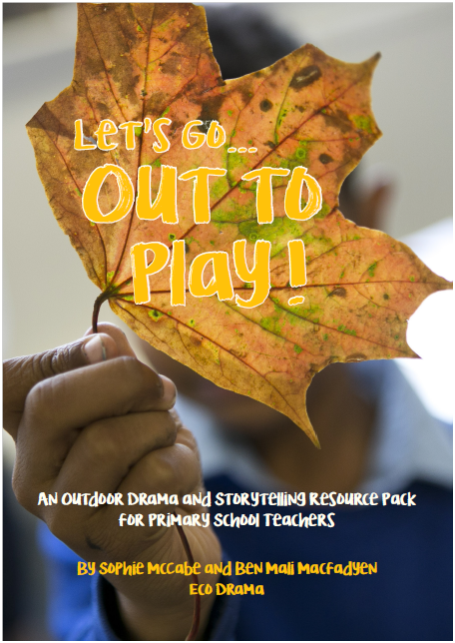 We are delighted to launch our brand new resource pack this week ‘Let’s Go…Out to Play!‘ – an outdoor drama and storytelling resource pack, written by Ben Mali Macfadyen and Sophie McCabe, two Drama Artists working on Eco Drama’s award winning project Out to Play. 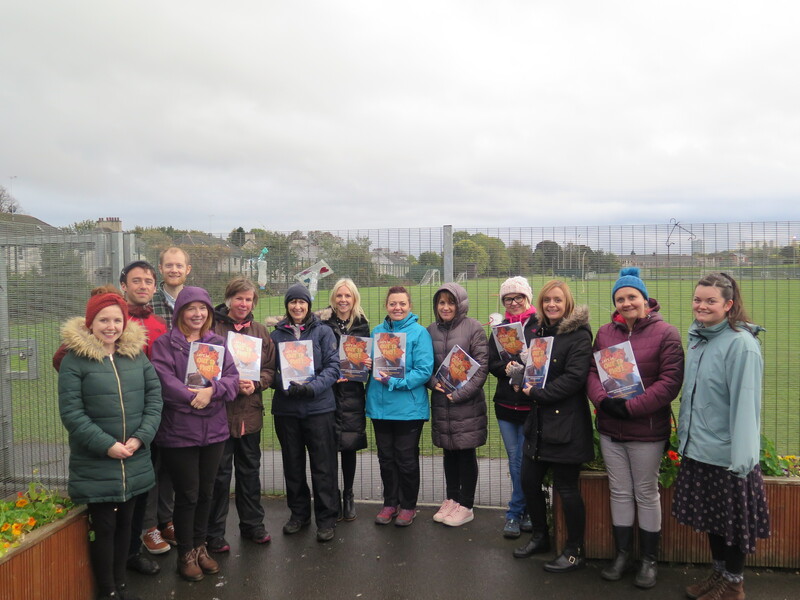 We launched the pack at our recent Out to Play CPD Workshop, delivered at Pirie Park Primary School, which was attended by teachers and play workers from schools and councils across Greater Glasgow. The 2018 Out to Play Resource Pack is an 82 page document bursting with ideas, activities, stories and inspiration to develop a school’s ‘Out to Play’ journey. Building on the first pack written in 2015, this second edition draws on the experiences of the Eco Drama Artists that delivered Out to Play residencies in school playgrounds across Glasgow during 2017. 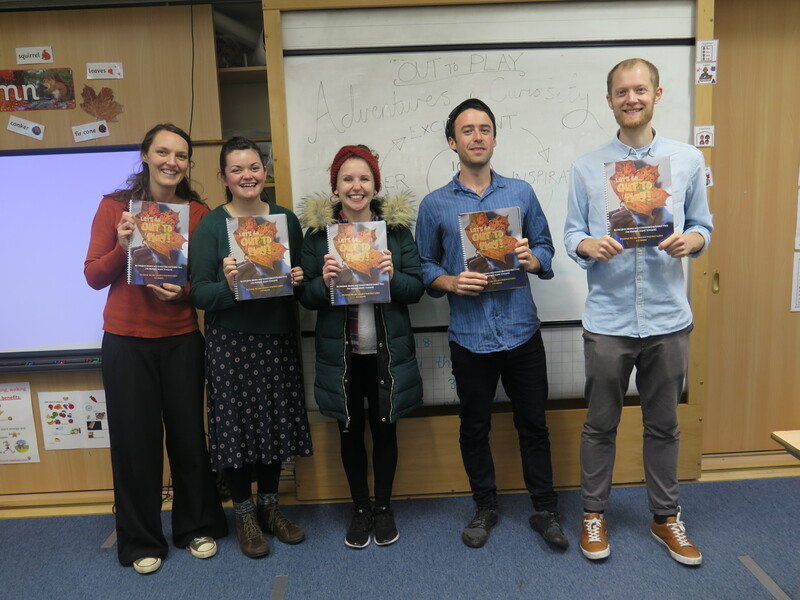 It contains an abundance of new ideas to support teachers to deliver imaginative outdoor learning sessions in school playgrounds, including inspiring environmental stories, nature connection exercises, session plans, drama activities and games, and is packed full of handy tips and insights for facilitating creative outdoor learning sessions. Although written for teachers, this resource pack will be an invaluable tool for anyone working with children and young people in places such as nature clubs, camps, after school clubs, drama groups, youth groups or other creative learning settings. You might even find you can adapt the exercises for playful grown-ups! The pack is now available to purchase in a ring bound hard copy directly from Eco Drama here. We are deeply grateful to the Drama Artists involved in Out to Play for their imagination, care and commitment to the project, and for gathering such rich material from the residencies in order to write this pack. 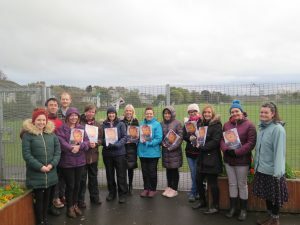 We are delighted to be able to launch and promote this resource, and very much hope it becomes an invaluable tool in getting children and young people ‘Out to Play’. 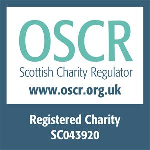 With thanks to The Educational Institute of Scotland for their kind donation towards the cost of printing.